Sarpy is building a notable reputation for its ability to host these large information-handling facilities. Yahoo, Fidelity, Cabela’s and Travelers all have operations there. 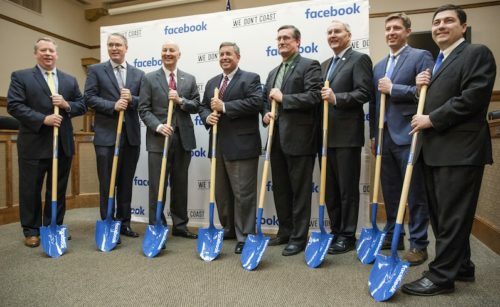 The Facebook announcement puts an exclamation point on Sarpy County’s data-center success . . . Tim Burke, OPPD’s chief executive officer, says additional companies have expressed interest in possible expansion projects since the utility adopted a new rate structure in January allowing large electricity users to tap renewables for all of their energy needs. 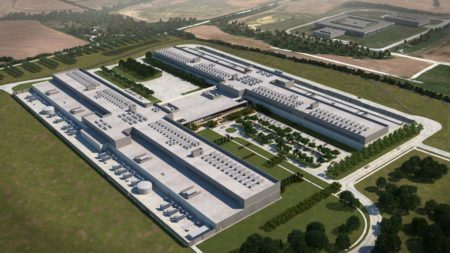 The Facebook project, in other words, points to more possible development to come. Read the entire editorial here. This entry was posted in Nebraska / Midwest News, NewsBlog and tagged American Wind Energy Association, data centers in Nebraska, Omaha World Herald, OPPD's Rate 261-M, Papillion's Facebook data center, renewable energy development in Nebraska, U.S. data centers 100% powered by renewable energy, wind energy jobs in Nebraska on April 6, 2017 by Helen Deffenbacher.